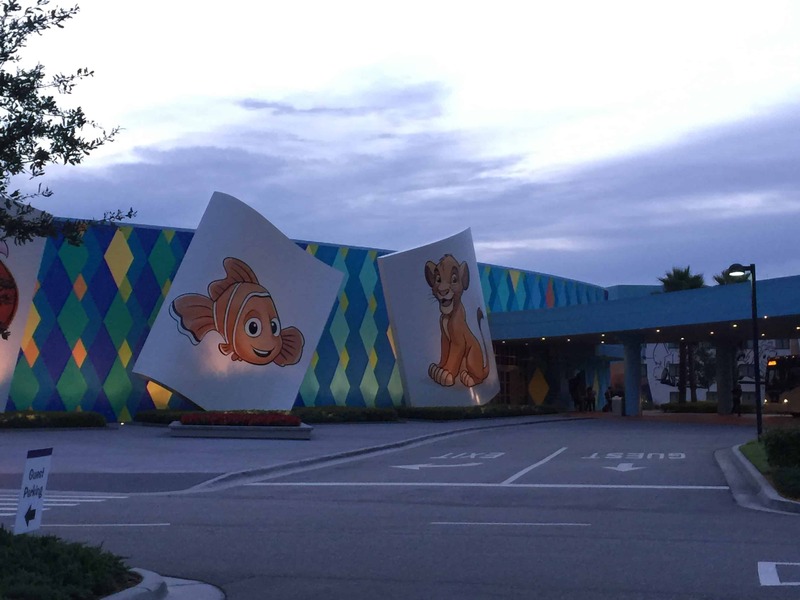 Disney’s Art of Animation Resort is in the Wide World of Sports resort area. It is located just across the lake from Disney’s Pop Century Resort. Disney’s Art of Animation Resort is a Value resort that is comprised of four sections: Finding Nemo, Cars, The Lion King, and The Little Mermaid. Each section contains larger than life icons from the movie each section represents. 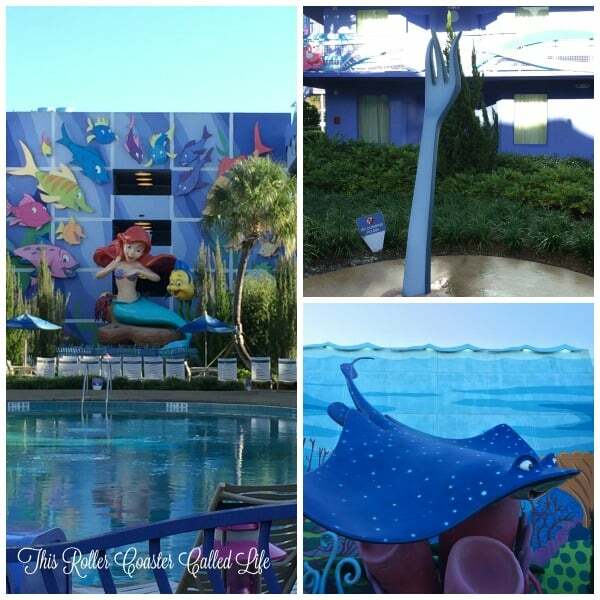 We recently stayed at Disney’s Art of Animation Resort for one night. We were happy to find a room in The Little Mermaid section available for our stay. Songbird has wanted to stay in a Little Mermaid room since the resort opened. 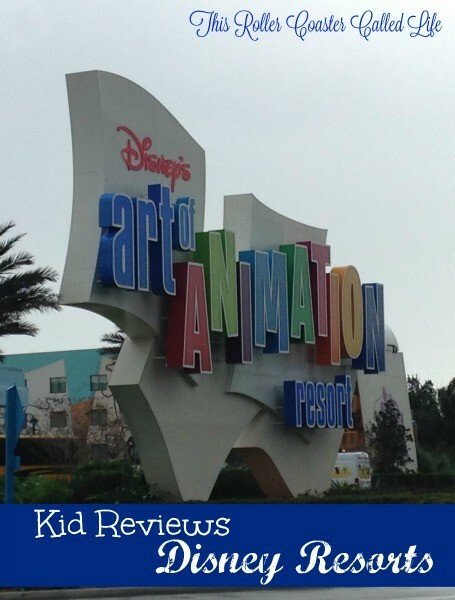 Since this is a kid review, let’s check out some photos and see what the kids have to say about Disney’s Art of Animation Resort. The first thing you notice as you drive up are the large sketches on the side of the building. These sketches represent the different parts of the resort. The colors are bright and cheery. On the inside, there is a large ribbon of different colors near where you check in, and on the opposite wall, there are lots more sketches from the movies represented in this resort. 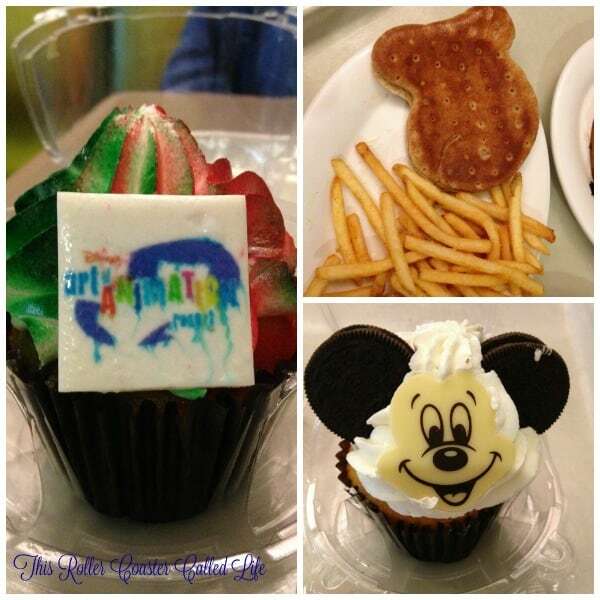 The Ink & Paint Shop is the resort’s one-stop shopping for Walt Disney World souvenirs, and it is the gateway to Landscape of Flavors, the food court. Landscape of Flavors is a large food court with several different food stations. Of course, there is more than cupcakes, but the cupcakes just look so good! Marvel Boy gives the food court two thumbs up! When I asked him what he liked about the food court, his response was “the food, duh!” I will vouch that he did love the food there. Last year, we stopped by for lunch, and it was nice to be able to find food that Marvel Boy liked to eat, while the adults had great choices (and vegetarian choices, at that), too. This year, we went for breakfast, and as Marvel Boy says, it was hard to find a place to sit and eat. We thought most people would have been in the parks by the time we went to the food court, but it was full of people, and the lines were very long! While Songbird enjoyed her special character waffles, Marvel Boy enjoyed eating his omelette. Me, I enjoyed my yogurt and fruit parfait! 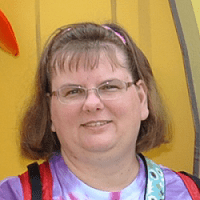 We really didn’t get to spend much time at the resort as we were only doing one day at the parks. 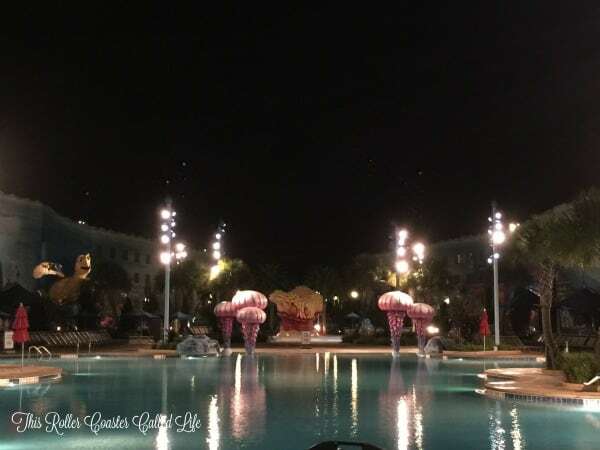 When we came back from the parks, we were treated to a lovely view of the pool at night. Songbird says that if we go back to stay there again, she wants to try out the pool because she said she’s heard it has underwater speakers. 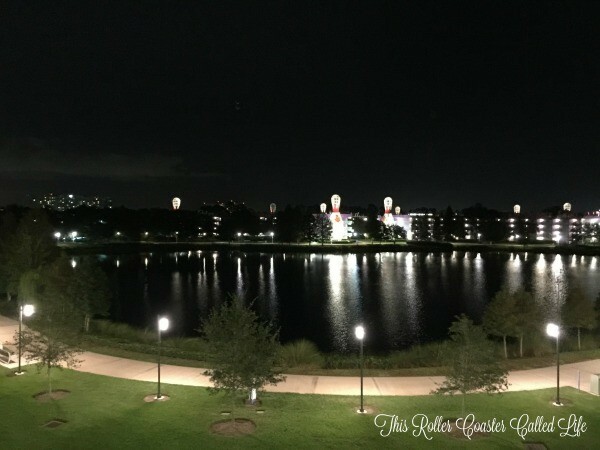 We were also treated to a view of the neighboring Disney’s Pop Century Resort on our way to our room. Honestly, Marvel Boy wasn’t really looking forward to staying in a Little Mermaid room as he preferred a Cars suite. My pocket book said that a suite was not in the budget for one night… Anyway, Marvel Boy’s feedback on the room was that it was small. In his defense, we usually stay in a Moderate resort, so the room is definitely smaller than our favorite Disney’s Port Orleans Riverside Resort. Songbird has a little more to say on the room subject, though… She does agree that it was on the smaller side; however, the bathroom seemed larger. The shower was probably one of the most detailed (themed) we have seen. 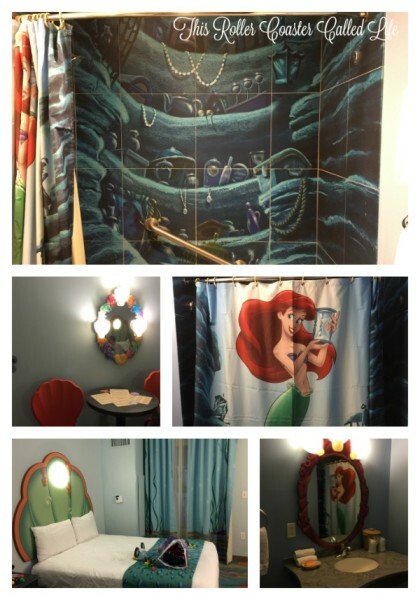 As you can see in the top picture, the tile looked like Ariel’s treasure cavern, and Ariel is life-sized on the shower curtain. Sebastian’s sheet music for Under the Sea is on the table, and the bed appears to be in a clam shell. Songbird reiterates how small the room is. Since both kids are “adult”- sized, it is a tight fit with four adult-sized people in the room. She says it would be difficult to stay there for an extended vacation. Plus, The Little Mermaid rooms are the furthest away from Animation Hall with the food court and the bus transportation. In the morning before breakfast, we wandered throughout the resort to look around and take photos. Marvel Boy says the Cars area is the best! It was almost like walking through Radiator Springs. The sidewalk even had road markings on it. Songbird likes how they turned the Cozy Cone into a swimming pool area. I mean, who wouldn’t want to use their own Cozy Cone cabana? The Lion King section had several larger than life statues, but it did not have it’s own pool. It is in a good location to use either the pool in The Little Mermaid section or the Big Blue Pool in the Finding Nemo section. 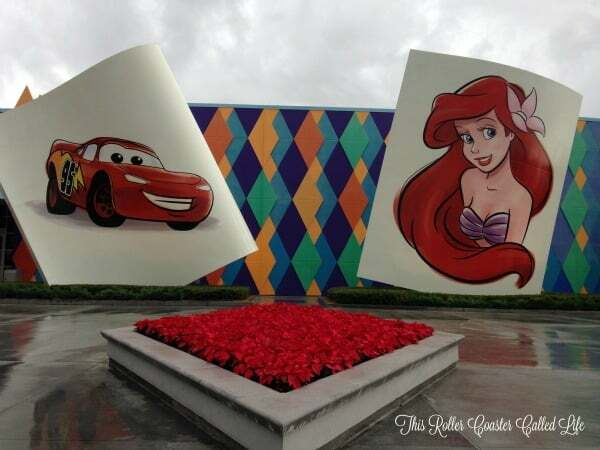 These are pictures taken randomly throughout the resort and are not necessarily in the same section. There were so many great photos of icons through the resort, and I had a really hard time deciding what photos to share with you. It really is fun just to walk the resort and see what all is there! 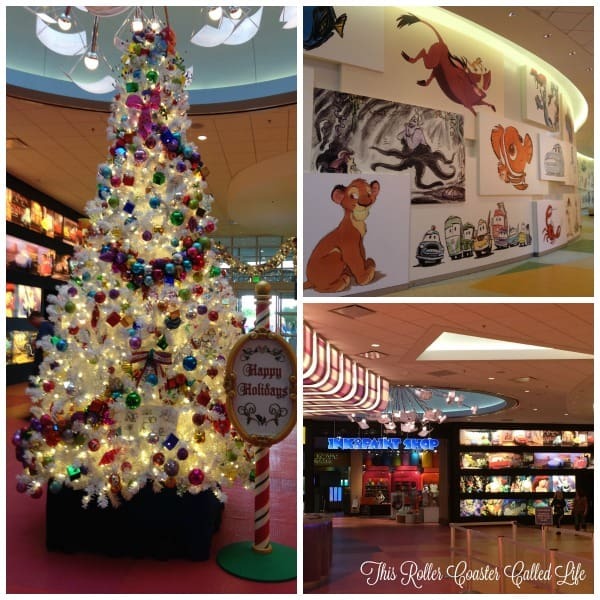 Songbird – As for a summary of the resort… It’s fairly nice. I like it. I like it a lot. It’s not as nice as a Moderate resort, but I wouldn’t mind staying there for a while as long as we could get a suite. 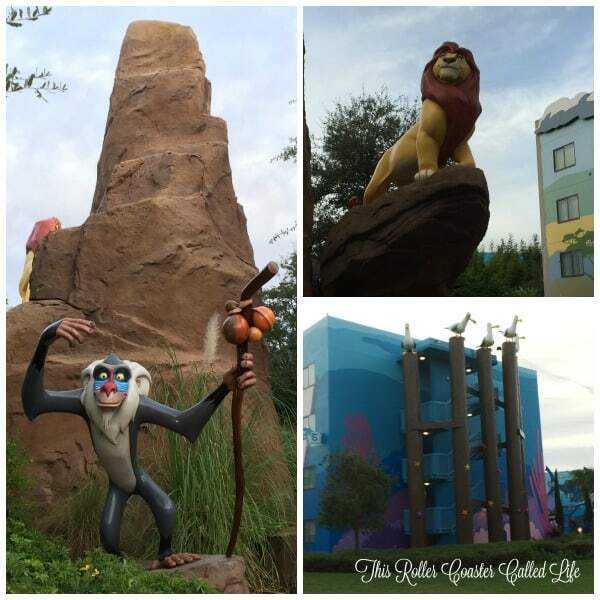 I would rate Disney’s Art of Animation Resort a 4 out of 5. Marvel Boy – Well, they could make their rooms a little bigger, and they could add some more seating to the food court. I did get to see the arcade, and it was pretty good. There were a lot of games there. 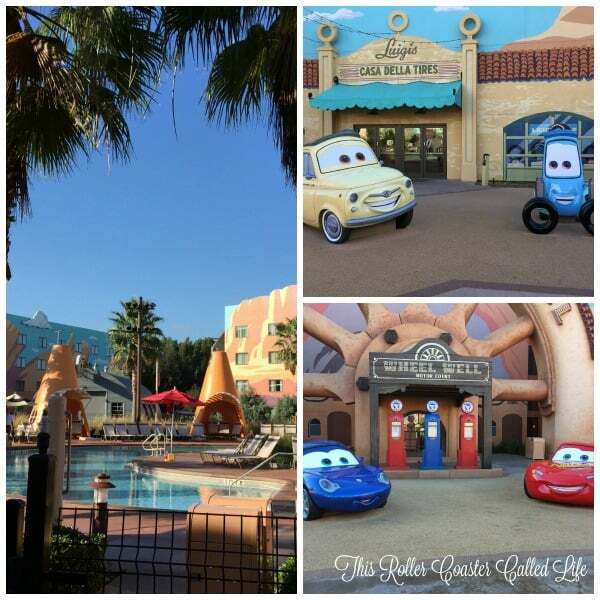 I would rate it a 4 out of 5, too, and I would stay there again if I could stay in a Cars suite. Excellent review! We haven’t stayed there, but the kids and I did visit for several hours one day and we loved walking around and checking everything out. That was right before the Little Mermaid rooms were open, I believe (the building was there). I see so many pros and cons to this resort; and, over the past few years when we’ve made Disney plans, we always seem to end up back at Port Orleans Riverside – it always wins in the end! I had never seen many pics of the resort or heard too much about it. Thanks for the review. We only stay in the DVC resorts now, but it sounds good for little kids, but the small rooms I think might be a detraction although many people aren’t in their rooms much any way. I have so much problem with my back that I have to rest a lot in the room, so I am in the rooms a lot! It still is a cool concept and the themed areas are really a great idea.